Police stated that the collision occurred around 7:45 a.m. as Lehman had been traveling eastbound along Route 417 and veered into the westbound lane for reasons that have not been confirmed. Lehman subsequently struck a school bus with ten children on board, prompting responses from police and emergency medical crews. 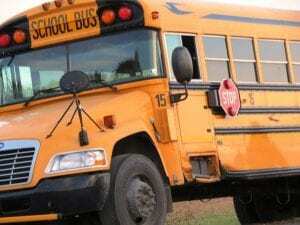 While neither the driver of the bus nor the ten children involved appeared to suffer any serious injuries, Lehman was sadly pronounced deceased at the scene. The children were taken to Corning Guthrie Hospital to be evaluated but no other injuries have been reported at this time. The cause of this collision is actively under investigation. Our most genuinely heartfelt condolences are wholeheartedly extended to the loved ones of Kayanna Lehman, first and foremost. Tragically, bus accidents in New York often result in serious injuries or death due to the size and power of the vehicle. At this time, it is extremely important to understand that, as the bereaved family, you may have rights in terms of recovering compensation for the wrongful death of your loved one. Our New York accident attorneys at Hach & Rose have devoted their lives to helping those who have suffered due to the actions of a negligent or blatantly criminal party or other entity such as a manufacturer. As members of the community, we understand that there is nothing as devastating as the sudden loss of a family member, and we are here for you 24/7 to answer any questions you may have. If you have lost a loved one in a bus accident due to another party, please don’t hesitate to call 212-779-0057 today.